You can turn your plain concrete slab floor into something really attractive with the use of an epoxy floor coating. Epoxy coating not only gives your garage floors a sanitary, dirt-free look, it also enhances the durability of your concrete floor and protects its luster. Epoxy coats live up to 20 years and resist abrasions and scuffing. This coating makes your floors stronger and more resistant to abuse from people and vehicle traffic as well as chemical spills. There are different kinds of garage floor epoxies. Knowing the differences is a must, whether you are doing the application yourself or hiring a contractor to do the work. 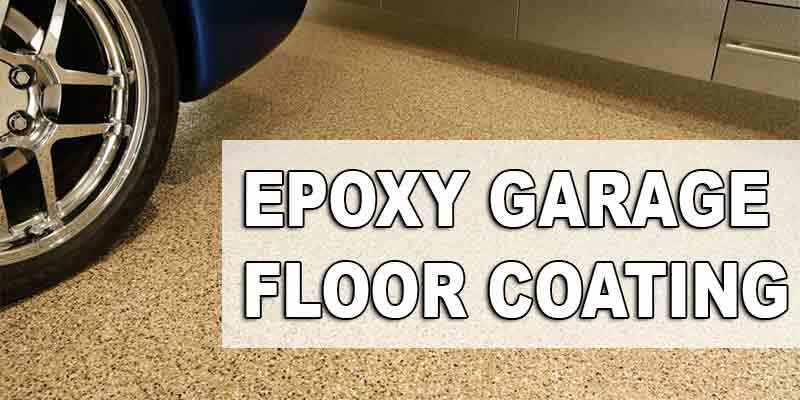 Understanding the varieties of epoxy coatings available and how they are applied will help you know which product is best suited for your needs and if you are getting the best value for your money. Even if it gives off a professional looking finish, most epoxy floor coatings are do-it-yourself products. That is why epoxy coatings are very popular for garage floors. There are many different kinds of epoxy systems that range from low-odor and water-based epoxy mixes to solvent-type, odorous ones. They are widely available in many hardware stores and home improvement centers. Epoxy floor coatings are also offered in clear coats as well as in a variety of colors. Since epoxy coatings are like liquid plastic, you can embed them with decorative items such as granite chips before they set or you can add fine silica sand to add traction. You need special tools to apply epoxy coatings such as paint rollers designed for specifically for epoxy coat application. If you are going to do it yourself, make sure that you wear gloves and safety glasses to avoid the mixture from coming in contact with your skin and eyes. If you are not using the water-based epoxy system, it is good to wear a breathing mask. Additionally, spiked shoes will help you stay steady on the surface when applying decorative chips on a wet, epoxy coated floor. Keep in mind that epoxy may dry within 12 to 24 hours. These coats are also temperature sensitive, so you should apply them when the outdoor temperature is between 60 to 80o F in order to achieve a proper cure. Most people use epoxy floor coatings because of three things: attractive finish, durability and chemical resistance. However, the disadvantages of using epoxy include fussy application, potentially dangerous vapors, and fading or yellowing of shades. It can be used even in high humidity and cool temperatures. It can bear petroleum contaminates in concrete floors. It produces a much glossier surface. It is more durable than water-based epoxy systems. However, solvent-based epoxy contains high content of volatile organic compounds. As such, solvent-based epoxy cannot be used indoors because of the harmful fumes. When used outdoors, you will have to utilize proper respirators and avoid open flames like furnaces and water heaters because the solvent-based epoxy is highly flammable. 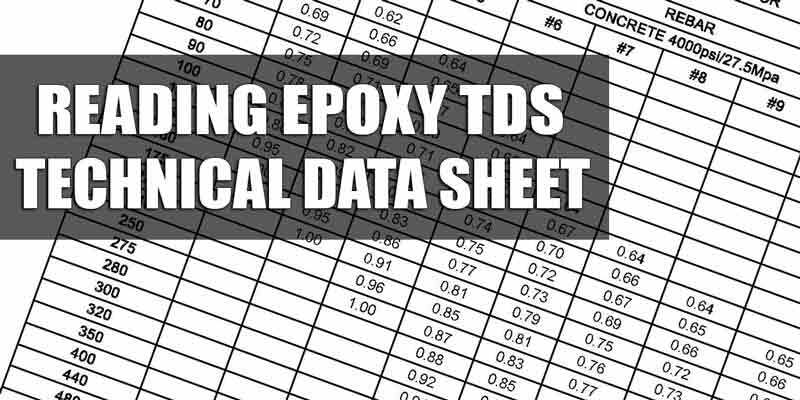 If you are looking for solvent-based epoxies, you may have a hard time finding them as some states have banned their use if unless they are produced with low VOCs. They are being used less and less nowadays. Water-based epoxies, on the other hand, have become more popular. They are as durable as the solvent-based epoxies and produces the same glossy finish. Moreover, they do not exude harmful fumes and bad odor because they have little to no VOC and are environmentally-safe. When you apply solvent-based epoxy, you will have to make sure that the floor is very dry. But you can apply water-based epoxy even if your floor is still wet. Also, water-based epoxies can prevent hydrostatic pressure, making it a good primer to stop moisture transmission. Unlike water-based and solvent-based epoxies, 100% solids epoxy systems don’t require liquids to evaporate. Hence, the 100% solids epoxy produces thicker dry coatings. It also does not contain any volatile organic compounds. It cures through chemical catalization. It is one of the most environmentally-safe epoxies. Additionally, 100% solids epoxies are more abrasive and more resistant to chemicals and stains. They are widely used for various commercial applications and for big garage floors. Highly durable, they last for more than 20 years. You can also add decorative chips such as acrylic flakes to the coating. The 100% solids epoxies are also more expensive. Nevertheless, the investment is worth it because the final product is very durable and thick. However, it is harder to use and apply 100% solids epoxy because they are thicker in consistency. You should also apply it quickly as its pot life is only 30 to 40 minutes. If you are confident with your application skills, then you won’t have to worry about using 100% solids. But if you are not as skillful, you may end up with dry epoxy in your container instead of on your floor. Be sure to choose the epoxy floor coating that you can best work with and that will give you the best value for your investment. There are three kinds of epoxy systems: one-part, two-component and fast-setting. The one-part system epoxies don’t need any mixing before you apply them. This is the most user friendly epoxy system because they are ready-to-use off the shelf. Moreover, the efficiency of the one-part system matches that of the two-component epoxy in terms of resistance to chemicals, grease, oil, and tire marks. Most one-part epoxies are also UV stable and will not chalk. The two-component epoxy system is effective at overcoming moisture issues and can still be used even after five days of curing. The fast-setting epoxy dries in as fast as 20 minutes, as opposed to the minimum 24-hour regular drying time. It also cures in as little as 12 hours, so you don’t have to wait for several days. Installing and applying your epoxy floor coating may be easy, especially if you like doing things by yourself. It is an uncomplicated and quick process. However, you should also consider hiring an epoxy flooring expert so that it can be done more professionally and quickly. Make sure that check the background, references, and licenses of flooring experts as well as reviews before you choose one to do the job for you. Is it flammable after it is dry ? Will this be a good product for a fireplace hearth?